If you've been reading my blog for a good while, you'll know that I'm a bit of a haircare junkie; always looking for the next big thing to give me silky smooth, shiny locks. 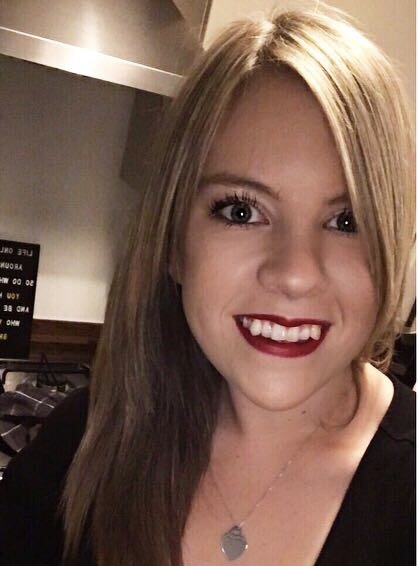 Blonde hair has to be the worst hair colour to try and get a shine on but over the past 3 years of being blonde it has become my mission. I've tried lots of different shampoos, some costing a fortune, others costing the measly sum of £1... and I have to admit that haircare is probably my favourite thing to put to the test. 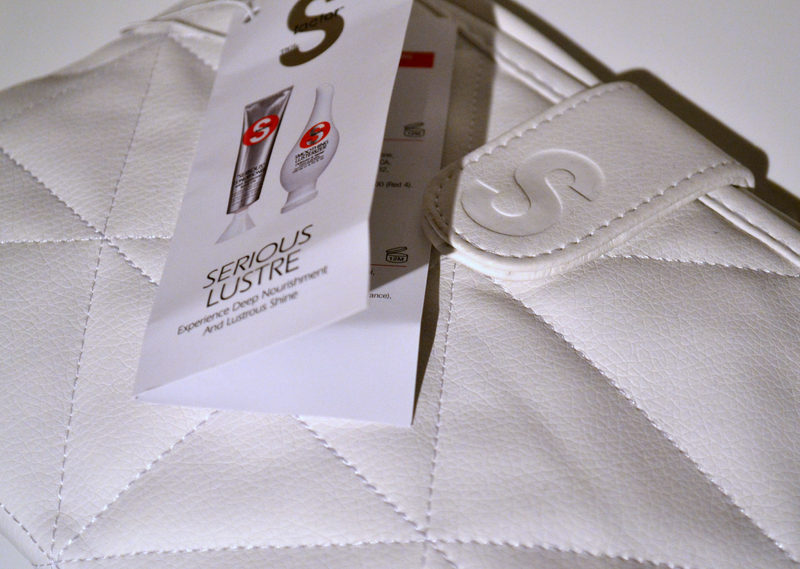 Recently I was sent the 'Serious Lustre' set by Tigi S Factor which contains two products; a 'Serious Conditioner' and a 'Smoothing Lusterizer' both packaged together in a cute little white bag (gotta love a bag that I can cram a load of products in reuse). This is the ultimate duo to fight frizz and rescue dry and damaged hair... I use heat styling on my hair pretty much every day so you could say that the ends of my hair are a tad dry and damaged; the amount of hair which falls out on a daily basis is quite alarming to be honest. Tigi S Factor "Serious" Conditioner First of all, I love intensive conditioners; there's no better feeling than washing your hair and popping a treatment on let it work its magic. 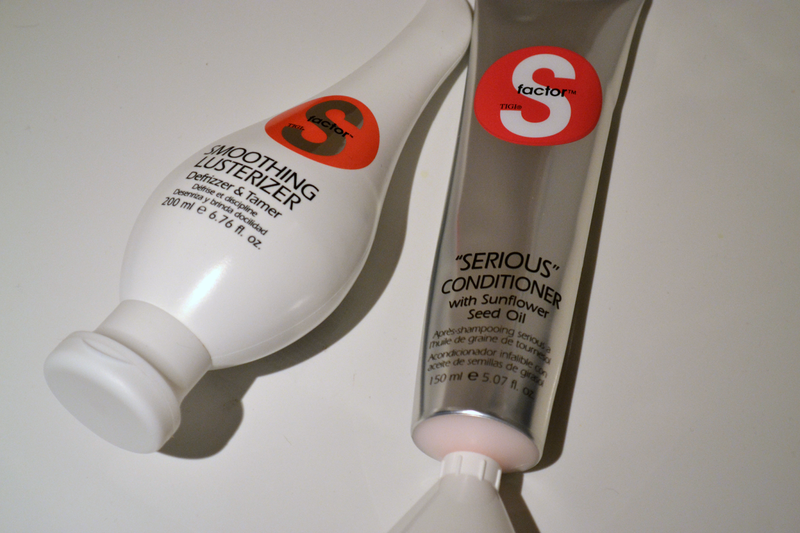 The S factor "serious" conditioner contains sunflower seed oil to give your hair the injection of moisture it needs to get it looking shiny and healthy My thoughts: I like how this dispenses out of the tube, it comes out of a long tapered end which means that you get just the right amount of product out without wasting any. The conditioner is really thick and creamy, I use it once every other wash on the bottom half of my hair and after about a week of use I started to be able to see a difference. I leave it on for between 3 and 5 minutes when I apply it and it leaves my hair really manageable to style and it doesn't seem to break as easily. This is to be used on either wet or dry hair in place of a serum and is packed with cyclomethicone to target and eliminate frizz from root to tip. My thoughts: The main thing I absolutely love about this is the smell, it smells exactly like strawberries and cream... it's sooo nice! I use this on my hair both when it's wet and I find that using a 5p sized amount is perfect. I still prefer my frizz ease serum for when my hair is dry but using this on wet hair has made my hair really soft, shiny and manageable... also how cool is the shape of the bottle?! The scent sounds so nice! !